The doctor's legal rep, Michael Kelton said in a statement: "Korovin maintains privileges at one of the city’s most prestigious hospitals. Daughter to late legendary comedian Joan Rivers is threatening to sue the doctor who performed the surgery which allegedly killed her mother last September. 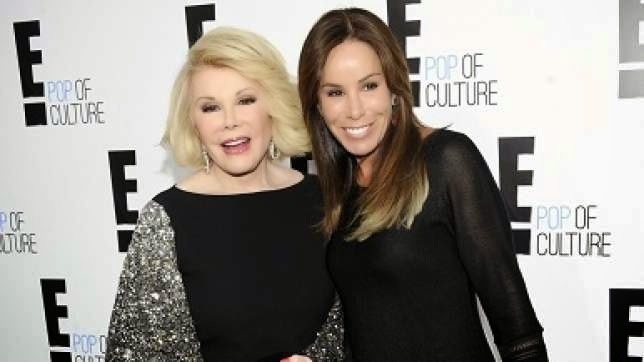 A friend to Melissa Rivers told New York Daily: "It’s very difficult to discuss something so unpleasant with her, but she is going to launch a lawsuit." Dr. Gwen Korovin is suspected of triggering the 81-year-old comedian's sudden death by performing an unscheduled biopsy on her. But she has continued to see patients and is even accepting new ones, according to the site. The doctor's legal rep, Michael Kelton said in a statement: "Korovin maintains privileges at one of the city’s most prestigious hospitals. She is respected and admired by her peers in the medical community and she is revered by her patients." Rivers suffered cardiac and respiratory arrest on Aug. 28 while undergoing a throat procedure at the Yorkville Endoscopy clinic on the Upper East Side. She died at Mount Sinai Hospital on Sept. 5, 2014 after being in a coma for a week.